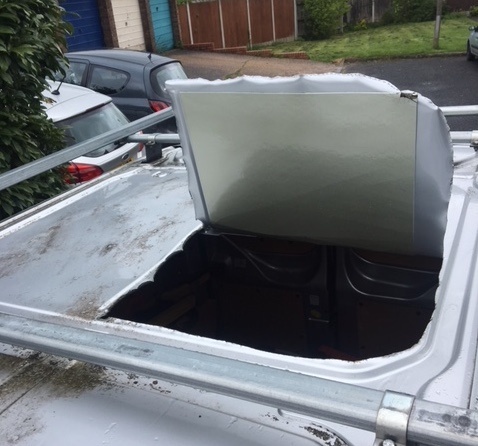 On 27 April 2018, Nick Harris, director of HD Property Services, discovered that thieves had broken into their service van. Though this happened at the quiet hour of 3:30 am on a private drive, no one heard a thing—because the alarm never went off. The business lost £20,000 worth of tools that night. If the van was armed with an alarm, why didn't it help thwart the crooks? Because the crooks cut into the roof of the van and peeled the metal back like a sardine can, jumped in, and helped themselves to the tools. The costs in time and money for HD Property Services go well beyond the £20,000 in lost tools. 'They already did the damage before they even got into the van,' Harris says. 'The van is now being fixed; it needs a whole new roof. The insurance company will repair it, but it will take three weeks.' Not only that, but Harris has now invested thousands in new security for the van, from a 3-mm steel cage to an internal alarm with motion sensors. Stolen equipment cost UK tradespeople over £94 million in 2016, reports Business Advice. Author Simon Caldwell writes, 'The average insurance claim for stolen tools added up to around £1,200—over a week’s work for the typical day rate of £210 for a tradesperson.' Not only that, but insurers Simply Business say that the average tool theft claim rose 15% from 2016 to 2017. Gribbin adds that there's no financial support for these tradespeople from the social system, and insurance companies often take months to pay out and might offer a fraction of what the tools are worth—if they pay out at all. Victims complain that the local police don't follow up on their theft reports, and that burglars who are caught suffer ridiculously light punishments such as community service or a fine. Worse, tool theft isn't top-of-mind for vehicle manufacturers since according to Mark Cropley, director of the van racking company Whitebox, in Europe the problem is only happening in the UK and Italy; for big vehicle manufacturers, these are only a tiny part of their total market. Add to that the fact that vehicles are being made with thinner metal for fuel efficiency—which has the side effect of making it easier for people to bend open doors and cut into roofs—and you can see why tradespeople are in a tough place. Andrew Marsden, director of plumbing and heating company AJ Marsden Ltd, has experienced this lack of support from vehicle manufacturers and dealerships. He brought up concerns about his van's security to the manufacturer, which replied that because the vehicles were Thatcham-approved, they were in the clear. This was cold comfort to Marsden when thieves later made away with £3,500 worth of tools from his van. 'We have found out that security issues that are found later down the line are not part of the warranty, and manufacturers generally will not recall vehicles to have the faults corrected,' he says. Tradespeople are fed up with tool theft, and they're using creative means to bring public awareness to the problem. On the Tradesmen Against Thieves Facebook group, members share videos of thefts they caught on CCTV, offer tips for keeping tools secure, put out the word about stolen vehicles and tools, and more. The Builders Talk Group, which has about 170,000 members across different trades, offers a Van Security Talk Group with 'the latest news, information and innovations in how to protect what you have worked so hard for'. 'We set up the Van Security Talk Group in October 2015, as the problem was growing to a point where it was popping up on our groups regularly', says Gribbin. 'The idea of the group was to create a central place to share information about what was happening, new methods the thieves were using, and also how people were protecting their vans'. Tag the @VansAttack Twitter profile in any post about tool theft and the owner will will retweet it to their 7,500 followers. In the VansAttack Twitter feed you'll find photos, statistics on the problem, advice on the best security measures, and tips for safeguarding tools. Many tradespeople are also posting videos on YouTube and other social media platforms to warn others about security issues in their service vehicles. For example, this video 'Citroen Dispatch Van Security Issue', which shows how someone can break into a van in 20 seconds with one simple tool, has gotten over 22,000 views as of this writing. Break-ins aren't the only subject of the videos going around: This video by popular tweeter PB Plumber urging viewers to sign Lee Watts' petition, for example, has been retweeted 273 times. In March of 2018, more than 150 service vans travelled in convoy from near Ivybridge, Devon, into Plymouth city centre to protest the steep increase in tool thefts in the area. As a result, a Home Office spokesperson promised in increase in police funding in 2019, with part of the funding going to 'local priorities'. Updated November 2018 - Field service professionals are banding together and asking the government what more can be done. Thousands are signing a petition on van and tool theft - add your name here: https://petition.parliament.uk/petitions/231177. Share your input online using the hashtag #NoVANber. The field service industry is working hard to combat tool theft, but it's up to you to safeguard your own tools. Despite what you may have read in the media and from security businesses, there's no security measure that will stop a truly determined thief. You won't find that one magic lock, alarm, or cage that will solve all your problems. If you can't prevent thieves from breaking into your van, the next best thing is to dissuade them from trying, or at least slow them down. Here's what the experts recommend. While you should always keep your van as secure as possible, it's good to be aware of when your van's most likely to be targeted. Tool theft tends to peak in the months leading up to Christmas, reports The Sun, because so many homeowners are getting work done on their houses before the hordes of holiday guests descend on their homes. Service vans packed with expensive equipment are everywhere, ripe for the picking—and the shorter daylight hours give thieves more time to do their dirty work under cover of darkness. The insurers Simply Business also report that most break-ins occur on Mondays, and say that the month of July is when thieves are most active. Many plumbers, electricians, HVAC engineers, and other field service businesses see security as a double-edged sword. 'If you put on a big lock, you're telling thieves that there's something of value in there, which makes your van more of a target', says Harris. 'You don't know which way to go'. Our experts suggest that while no locks are 100% unbreakable, you should have them anyway—and the bigger and more visible, the better. 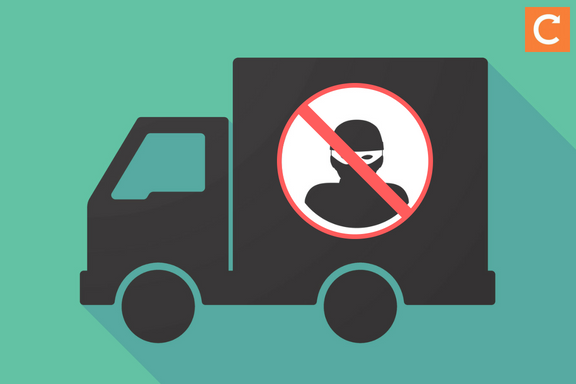 While burglars are looking for expensive tools, they also put a priority on vans that looks like easy targets. They need to get in and out fast. 'It's not a great way to think about it, but if someone's van is going to be robbed, if the thieves see your locks they'll go to someone else's', says Jos Banham, Digital Marketing Co-ordinator at Vehicle Accessories Limited. Extra locks, especially if they're big, hefty-looking locks on the outside of the doors, can cause potential thieves to have second thoughts about breaking into your van. If you've spent the time and money to install those locks, who knows what other security measures you may have taken? The fact is, you can't count on thieves passing your van by just because you have no visible security; if it takes only a few seconds to pop open your door and see what's inside, why not try? Tradespeople have the same issue with van signage that they do with tools: If you brand your service van, thieves will know exactly what's in there; for example, they know what kind of haul they're likely get from a plumbing van versus an HVAC van. But if you don't brand your van, you miss out on the opportunity to promote your business to passers-by. Then there are those signs that declare 'No tools in van', which some tradespeople hope will keep thieves at bay and eliminate the need for pricey security measures. Bad idea: If you rely on a 'no tools' sign as your only means of security, it takes thieves just a few minutes to call your bluff by popping open the door to see if that's really the case. 'Take the tools out of your van is the recommended approach, but at the end of the day, if you're a working tradesman, you don't want to lug tools in and out of the house every night', says Banham. 'It's not practical for most people'. The more high tech your security, the easier it is to break into. Keyless lock codes can easily be hacked, for example, and thieves can use wireless transmitters to intercept and copy the signal from your keyless fob—no physical labour required! Physical barriers to theft are both more visible and harder to get past. Even better, combine various security measures to make thieves' lives difficult, such as different types of locks and an alarm. You want to 'make it as tricky, noisy, and time-consuming as possible for would-be thieves to ransack vans', according to an article in The Telegraph on security tips for commercial vehicle drivers. While this tactic may not keep thieves from making off with your tools, it can help in the recovery of the lost items. Van Accessories offers a helpful article on various methods for marking your tools, from painting them hot pink to engraving them with a code. Big tip: Be sure to mark your tools in a visible place, but also somewhere hard to find. That way, even if the thief sands down your engraving or peels off your electrical tape, you can still prove the tools are yours if they're recovered by the police. 'If you have something of high value, have lockable storage in the van', recommends Mark Cropley. 'For example, your £2,000 gas analyser should be locked away in a case inside the van'. Again, it's all about slowing thieves down and making your van a more difficult target than the one down the street. Should you use wrap locks, slam locks, tool safes? What about a motion sensor alarm that alerts your smartphone to break-ins? And what if you live in an area with low crime...are all these precautions worth the expense? The sales staff at companies that sell van security products should be able to answer your questions and help you decide on the best course of action for your business, your budget, and your location. If they're not forthcoming, don't listen to your concerns, guarantee 100% security, or insist that theirs are the only products that work—look elsewhere. All those petitions, groups, and social media accounts we talked about earlier? They're for you, too. Sign the petitions, join the groups, offer your advice, and share reports of stolen tools or vehicles so your fellow tradespeople can keep an eye out. There have been cases of thieves stealing vans so they can unload the tools at their leisure, and possibly fence the van as well. (That's another advantage to having signage on your van—it makes it harder to steal.) Installing a real-time vehicle tracking system can help you recover your van if it's stolen, tools and all. Having a handy checklist is helpful in making sure you've done everything you can to protect your van. That's why we've created the free checklist "Are Your Service Vans Driving You to Success?" to help you prevent tool theft—as well create customer-attracting van branding, optimise your efficiency, and more. You can download your checklist by clicking on the banner below.